In the course of a couple of days, both Mets catchers went on the DL. 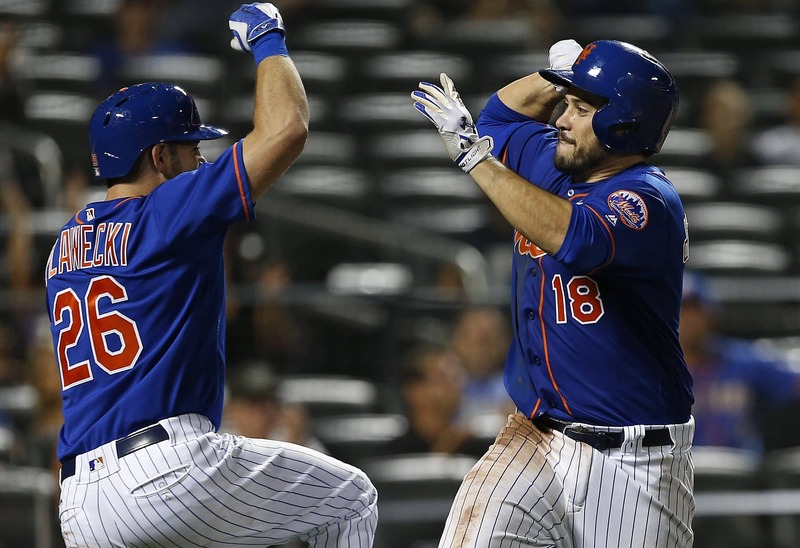 Travis d’Arnaud will likely miss the rest of the season and Kevin Plawecki will be out for around a month. While this is clearly bad news, is it time to hit the panic button? The notion of d’Arnaud being on the shelf should shock no one. From the start of his career, he seemed to always find a path to the DL. In 2014 it was a concussion. In 2015, it was a broken hand and later on it was a sprained elbow. In 2016, it was his rotator cuff and last year it was a bruised wrist. With this kind of a resume, many speculated that it was a matter of time until d’Arnaud would hit the DL in 2018. Now that the diagnosis is a UCL tear, one wonders if this could have explained d’Arnaud’s inability to throw runners out. Plawecki is not particularly injury prone. In addition, this injury was not due to poor conditioning but rather bad luck. Getting hit on the hand can happen to anyone. However, Plawecki has never been an everyday player. He didn’t have big league success until 2017. In limited playing time, Plawecki put up a respectable slash line of .260/.364/.400, but did so in a lost cause season. So let’s face the facts. Met catchers have struggled throwing out baserunners for several years. In addition, the Mets have not had a good offensive season from a catcher (OPS of .740 or higher and at least 100 games) since Paul lo Duca made the 2006 all star team. The Mets offense hasn’t been led by a catcher since Piazza was dominating in the early 2000’s. Currently the Mets are 2-1 with the Lobaton/Nido combo. Tomas Nido looks like he needs some more seasoning, while Jose Lobaton is an experienced veteran. Nido shocked many in the Mets organization as he was an under-the-radar draft pick who shot through the ranks. On the other hand, Lobaton has generally been considered a mediocre backup. They may be able to handle the job for the next month, but this is a risky long term solution. Even when Plawecki returns, he is not considered to be the every day catcher. Therefore, the Mets are considering making an early season trade. So far, there are two catchers on struggling teams who have been in the Mets sights. Salt and Pepper- Jose Lobaton hitting a triple in his Mets debut. Prior to this season, many teams were inquiring about JT Realmuto. He has been a star in Miami since getting the everyday job in 2015. With the team in rebuilding mode, everyone is fair game. Realmuto is a career .280 hitter who hit a career high 17 homers last year. He has thrown out over 30% of attempted base stealers and is considered to be very good defensively. As an added bonus, he has some speed which is rare for a catcher. The main negative side is that Realmuto is recovering from a back injury and is yet to play in 2018. If the Mets want to get him, it is for the long run since he is under team control through 2020. Is JT Realmuto the catcher of the Mets dreams? The other option is Wilson Ramos. Ramos had a very good 2011 season in Washington but followed it up with three straight injury riddled seasons. After a healthy but poor 2015, he finally put it all together in 2016. Sadly for Ramos, he tore his ACL right before the postseason and would be out until June 2017. Despite the injury, Tampa signed him to a two year deal. When Ramos made his return, he was good but not great. The power was there but his OBP dropped significantly and the Rays suffered because of it. So far this season, the 30 year old Ramos has been struggling. He is yet to homer and is batting under the Mendoza line. With Tampa off to a horrible start in the tough AL East, they may be sellers very soon. There are some other options that the Mets may want to consider. Miguel Montero was just designated for assignment by the Nats. The two time all-star had a bad exit from Chicago and his career hasn’t recovered. Being that baseball has turned into no country for old men, Montero could be too old to be taken seriously. Devin Mesoraco may be available if the Reds don’t get off the highway to hell. However, he is injury prone and is somehow earning over $13 million for a guy who only had one good year. The million dollar question- What will Sandy do? The Mets need to play it smart. There is no reason for Sandy Alderson to make any rash decisions. Maybe this is the chance Nido has been waiting for? Maybe Lobaton will be the next Rene Rivera? If the Mets do go the trade route, everyone needs to know that there are risks. Realmuto is excellent and the Marlins will want to raid the Mets farm system. However, there isn’t much for the taking. If the Mets want Ramos, they need to understand that he’s an injury prone guy and is owed $8,500,000 this season. With that said, the Rays are struggling and the Mets won’t need to give up much. We should trust Sandy’s market reads as he tends to know when to make the right trade. Let’s not push the panic button. Instead this is a time to wait for the opportunity to come to us.